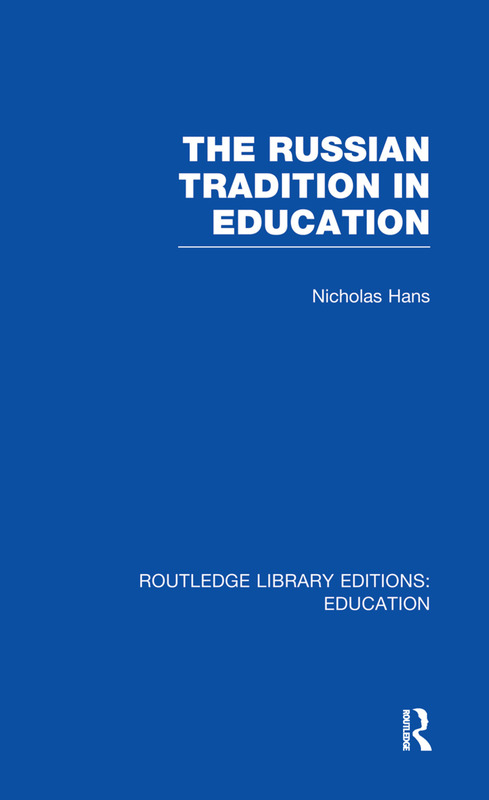 This volume describes the Russian tradition in education and in particular the dominant role of Russian nationality. The whole history of Russian education is covered from Peter the Great to Khruschev. Introduction. 1 The Precursors of the Russian Tradition 2 The Parting of the Ways and the Russian Leaders’ Opposition to Autocracy. 3 N I Priogov: The Humanist Trend 4 K D Ushinsky: The National Trend. 5 L N Tolstoy: The Moral Trend 6 Socialists and Populists: The Materialistic Trend. 7 Liberals and the ‘Zemstvo’ 8 Marxism and the Heritage 9 Marxism and the Principle of ‘Narodnost’. Bibliography. Index.